Jordan Chouteau lives in Brooklyn, New York, with her husband, Tom, their two boys, Brewer and Wylie, and their dog, Bird. 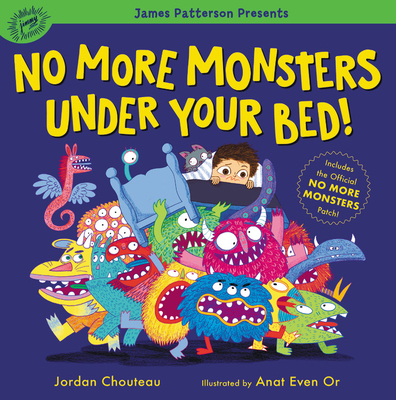 She wrote this book so monsters could never rob her kids (or her) of a good night's sleep. This is her first children's book. Anat Even Or is an illustrator, character designer, and calligrapher. She lives in New York City with her husband, Gwilym, daughter, Alwyn, and dog, Nala. This is her first children's book sharing her monsters with the world.